The Australian banana industry has ramped up biosecurity measures as tests have confirmed a case of Panama Tropical Race 4 (TR4), a banana plant fungal disease, on one farm in Tully in north Queensland. The presence of the potentially devastating banana plant fungal disease in Queensland’s banana growing regions comes as banana production in the Western Australian Carnarvon region has been completely wiped out by Tropical Cyclone Olwyn. This is not the first time the Australian banana industry has faced potential catastrophe. In February 2011, the Queensland banana industry was devastated by Cyclone Yasi. Despite intense lobbying from international banana marketing groups at that time, the then Australian Labor Government decided not to relax quarantine laws to allow any banana imports into Australia. The banana shortage led to huge prices for bananas in Australia. The latest incident now of a soil-borne strain of TR4 fungal disease presents a threat of a similar kind to one that wiped out the banana industry in the Northern Territory in the late 1990s. However, far north Queensland farmers have said they are determined not to succumb to a similar fate and have increased biosecurity measures, working with Queensland Government Biosecurity Queensland to contain the disease. Over the weekend, Biosecurity Queensland announced a second round of testing on the samples that had returned positive results for TR4 and confirmed this as the first case of TR4 on a Queensland banana farm. Chief Biosecurity Officer Dr Jim Thompson said these latest results were from fresh plant samples taken in the past week from the same block on the Tully farm where the disease was first reported. There has been no confirmed detection outside of the affected farm. An earlier sample was taken in February by an Australian Banana Growers’ Council (ABGC) field officer from one plant on the same block after plant symptoms were reported by the farm’s owner. That sample had returned a positive PCR test result from laboratories in Brisbane and Darwin. Australian Banana Growers’ Council (ABGC) Chairman Doug Phillips said the test results announced today had been expected, given earlier positive test results on the separate plant sample. He said banana growers and others in the industry had already begun on-farm biosecurity efforts to reduce the risk of TR4 affecting other farms. The ABGC said there were two types of testing being used on the samples – a PCR test on plant DNA that has so far returned positive results – and another test, called a VCG (Vegetative Compatibility Group) test. VCG results are still pending and will provide more information about the strain of Panama found on the farm. 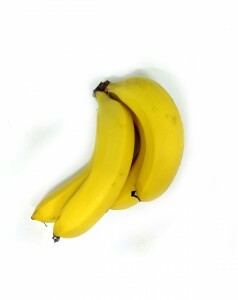 “Everyone in the banana industry is already acting to reduce the risk of TR4 affecting other farms,” Mr Phillips said. “There is a very determined, positive and united attitude from growers, industry partners, community members and government representatives,” he said. “While the detection of Panama TR4 on a farm in a major growing area is a substantial challenge for the Australian banana industry, we are confident it’s a challenge we can successfully meet,” Mr Phillips said. The ABGC has so far convened five industry meetings in north Queensland – in Tully, Innisfail and Mareeba, with a sixth meeting to be held in Mareeba at the Leagues Club from 4pm today. Mr Phillips said the affected Tully farm remains under the quarantine restrictions introduced on 4 March 2015 but there was no impact on banana production on other farms with banana supply continuing as usual. “While the one Tully farm is quarantined, banana farm operations elsewhere in North Queensland are all continuing as usual, including harvesting, packing and transportation of bananas to market,” Mr Phillips said. “It’s important to remember that banana fruit is not affected by TR4 and remains completely safe to handle and eat. There is zero risk to consumers,” he said. Meanwhile, banana production in Western Australia’s Carnarvon region has been completely wiped out following a direct hit from Tropical Cyclone Olwyn late last week. Australian Banana Growers’ Council (ABGC) director Tom Day said there had been 100 percent loss of all trees – from young plants through to bunched trees – when winds from the cyclone hit Carnarvon during the day on Friday 13 March 2015. He said assessments of damage would be made so growers could seek assistance from the Carnarvon banana industry’s compensation fund. There are about 30 banana growers in the region who supply the West Australian market. However, North Queensland bananas are also supplied into Western Australia, meaning at this stage banana supply for WA is not expected to be interrupted, although prices in Perth may rise. Carnarvon banana production accounts for less than one per cent of Australia’s banana production, but is still significant in WA. ABGC Chairman Doug Phillips said the ABGC was offering support to Carnarvon growers and would be speaking with industry representatives over the coming days about government assistance measures. “The destruction caused by Cyclone Olwyn is a devastating event for Carnarvon, particularly given the hardships growers have been enduring in recent years with drought conditions,” Mr Phillips said. “We know Carnarvon banana growers are a very resilient and determined group,” Mr Phillips said. “Unfortunately, banana growers throughout Australia experience natural disasters all too often and we know how difficult these events are. All growers’ thoughts are with our Carnarvon colleagues as they re-establish their homes and farms,” he said. Doriana Mangili from Carnarvon banana co-operative Sweeter Bananas said she had contacted many of the co-operative’s 22 growers who were already planning to replant and ensure the industry could resume production. “There’s a lot of enthusiasm in the industry here, despite the difficulties from four years of drought, we just received a good river flow a week ago and the growers are being positive and saying ‘we’ve just got to get planting’,” Ms Mangili said. Banana production had scaled back to about 60 per cent during the drought conditions so there was already blocks prepared for planting, according to Ms Mangili. There had been good river flows into the Gascoyne River prior to the cyclone but no flooding anticipated in its wake. While there has been total loss of banana trees, Ms Mangili said some suckers will be viable and able to provide initial production in ten months time with production from new bananas planted from bits expected to take 14 to 18 months. She said North Queensland growers had contacted the co-operative to offer assistance with supply arrangements until Carnarvon production resumed. “Carnarvon banana growers are thankful for the offers of help and support from North Queensland growers,” Ms Mangili said.